Kirk Bell November 18, 2016 Comment Now! 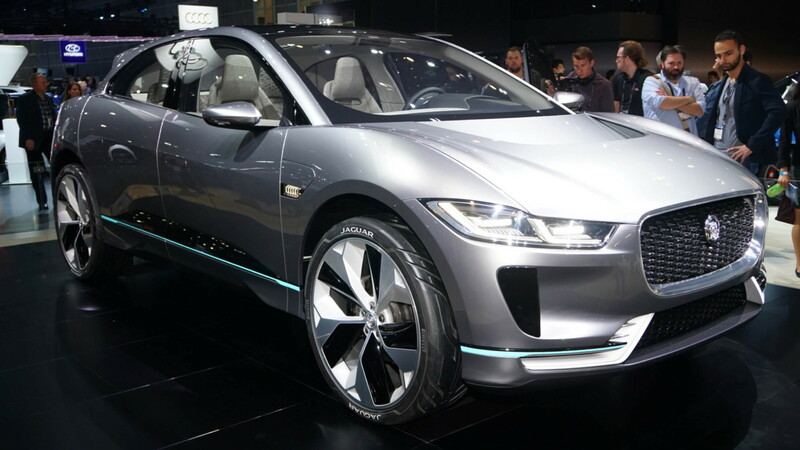 Just prior to the 2016 Los Angeles auto show, Jaguar unveiled the I-Pace concept, an all-electric crossover SUV that elbows in on Tesla [NSDQ:TSLA] Model X territory. The I-Pace concept is a precursor to a production model, which is promised for the second half of 2018, likely as a 2019 model. Test mules are already running around Europe. It all starts with a 90-kilowatt-hour battery—the same size as found in the Model X 90D—that will deliver 220 miles of electric range. A pair of 200-horsepower electric motors, one on each axle, provide 400 horsepower and 516 pound-feet of torque, as well as all-wheel-drive capability. The structure of the I-Pace is not related to that of the F-Pace, the first SUV in the brand's history. 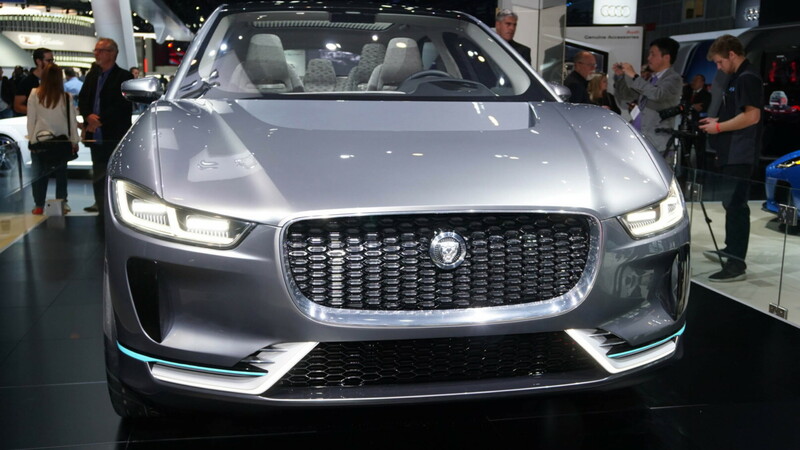 Instead, it's a new dedicated electric vehicle architecture, and Jaguar says that allowed its designers and engineers to tear up the rule book on vehicle layout. The liquid-cooled lithium-ion battery is located under the floor of the cabin. 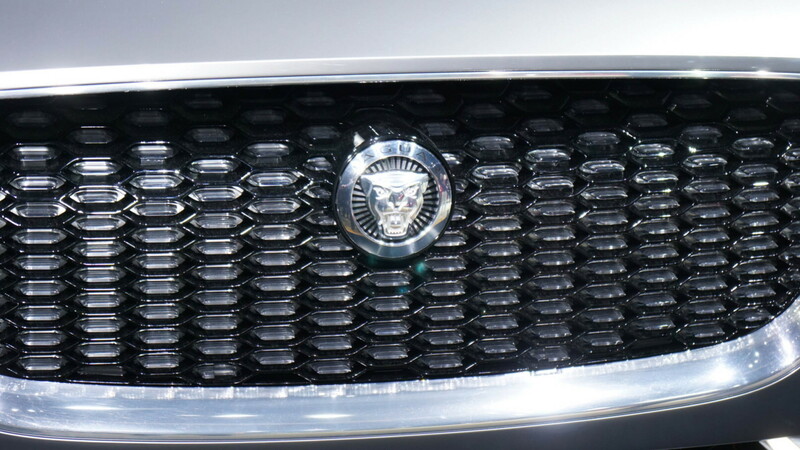 According to Jaguar, the design was inspired by the C-X75 mid-engine supercar concept that never resulted in a production car. The lack of an engine and transmission tunnel allowed Jaguar designers to move the cabin forward, increase interior space, lengthen the wheelbase, and shorten the overhangs relative to a vehicle with a conventional driveline. The vehicle has mid-size crossover proportions, with a length of 184.2 inches and a long wheelbase of 117.72 inches. In addition to the cab-forward design, the I-Pace features a steeply angled windshield, the maw-like corporate grille, the brand's characteristic haunches over the wheels, and large 23-inch wheels. Aerodynamic considerations such as shaved door handles create a fairly slippery 0.29 coefficient of drag. 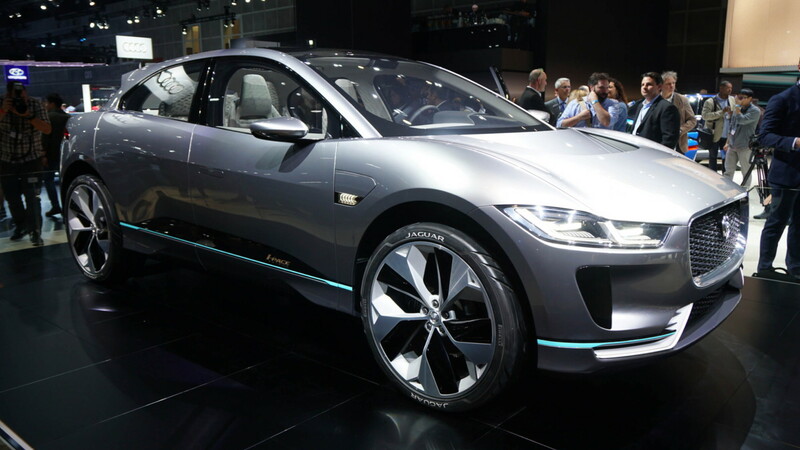 Jaguar calls the I-Pace a performance SUV and claims the electric powertrain makes it capable of a 4.0-second 0 to 60 mph run. The suspension, as well as a low center of gravity from the battery placement, should make it handle. Jaguar says the I-Pace's center of gravity sits 4.7 inches lower than that of a conventional crossover. The suspension features double wishbone front and an integral link rear design. The integral link is a multi-link design that allows engineers to tune both the longitudinal and lateral stiffness. It is used in the XE and F-Pace. Inside, the I-Pace has slim bucket seats, a central touchscreen, a digital instrument cluster, burl wood trim, and a Meridian sound system. A panoramic sunroof features a lozenge-like pattern during the day and LEDs that illuminate the patterned glass at night for a unique visual effect. Without a transmission tunnel, the center console has a spacious 8 liters of storage space. The rear cargo hold has 18.7 cubic feet of space. 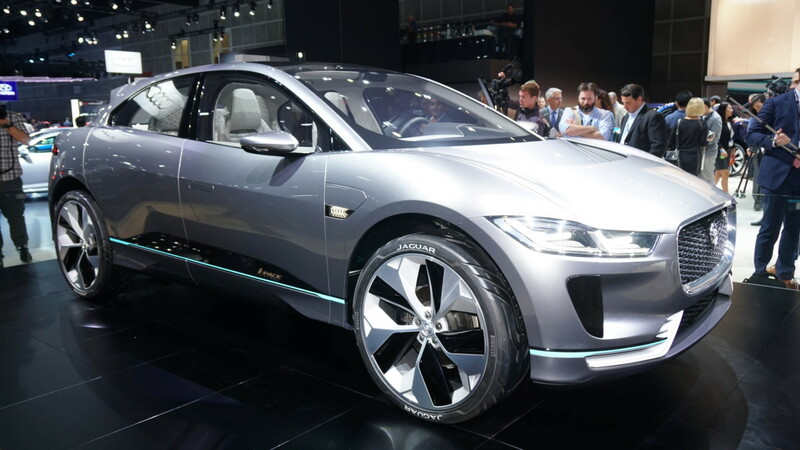 We spoke to Jaguar Design Director Ian Callum and asked how close the I-Pace is to production ready. He said it is 95 percent of the way there. Things that may change include the wheel size, the addition of folding rear seats, and the interior trims (especially the seat fabric).